Professor Arthur Lowery brings to the Centre expertise in wireless implants for brain stimulation, developed during the Monash Vision Group’s bionic eye project. He is also an expert in the use of mathematical models to study massively-complex systems, gained from working in telecommunications systems modelling. Professor Lowery is internationally recognised for his innovations in optical communications, and commercialisation of research ideas. 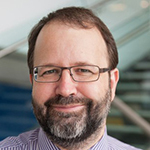 He is based at Monash University, in Melbourne, and is Director of the Monash Vision Group.